Wednesday the 28th is the one year anniversary of our Lame Duck giveaway special, in which we gave away 650,000 copies of CrossOver, melted down our servers, and destroyed the US economy. We're choosing to celebrate the anniversary in a variety of ways. First, we're going to launch a 'CrossOver is NOT Free' promotion starting on Wednesday. Next, in honor of the Lame Duck, we have given our next two upcoming releases code names. 'Snow Mallard' is the upcoming version of regular CrossOver and 'Zombie Mallard' is the upcoming version of CrossOver Games. Snow Mallard represents a radical departure for us. For the first time, we're going to embrace the reality that CrossOver runs many applications, rather than just a limited number. Instead of a fixed number of applications supported by CrossOver, CrossOver will be able to use 'Application Installer Profiles', which can come from us, or from the broader community. This should make it easier for our Advocates to bake tips and tricks right into an installation recipe. Snow Mallard also includes a complete rewrite of the client engine, so everyone, particularly Linux users, should see a dramatic improvement in behavior. Zombie Mallard will continue to build on the great games we support now, and add support for Left 4 Dead 2, once it's available. Sometimes, what is possible it not always practical. 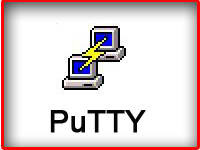 Some users, such as those who absolutely must run a legacy Windows application, have found it's possible to load Windows on a Mac. Not for the faint of heart, the process involves booting into Windows--you'll need software such as Apple's Boot Camp (free)--or running Windows within a virtual machine application such as Parallels ( Macworld rated 3.5 out of 5 mice ) or VMware Fusion ( Macworld rated 4.5 out of 5 mice ). 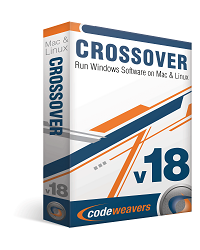 A slicker option is CodeWeaver's CrossOver Mac Pro 8.0, an application that runs a virtual environment so you can run Windows applications on your Mac. (We tested the Pro version, which supports both apps and games.) 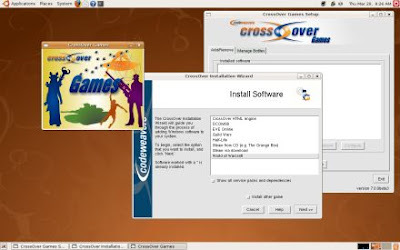 With CrossOver 8 installed on your Mac, you can insert a Windows installer disc such as the one for Microsoft Office 2007 or Quicken 2009 for Windows, install the program, and run it without actually running Windows. This saves time, because you never have to boot the Windows OS. And, theoretically, it should make Windows apps run faster on your Mac. CrossOver Mac Pro 8 is a smart application; it relies on the open-source Wine application for running Windows apps and streamlines the install process. However, since the CrossOver 7 ( Macworld rated 3 out of 5 mice ) release last year, the new version only adds support for one major, new Windows application (Quicken 2009) and tweaks Office 2007 compatibility. 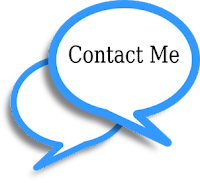 CodeWeavers has not addressed my chief complaint, which is that the application does not provide any guidance as to whether an application will work at the time of install, and relies instead on an online user forum. So, CrossOver 8 is smarter, but still not smart enough. Of course, the real strength of CrossOver 8 is whether it will work for the applications and games you want to run, not any interface issues. For example, I know of a design agency that still uses Adobe FrameMaker 7 to access an extensive archive of page layout documents. In some other cases, you might need to run a Windows program such as Microsoft Word 2007 because that's the version dictated by your company. Fortunately, CrossOver 8 has tweaked support for Office 2007 and now runs more reliably and faster, and adds support for features such as inserting clip art. That said, on my MacBook with 2GB of RAM and a 2.4GHz Core 2 Duo processor, Office 2007 still crashed to the Desktop at least once per hour. CrossOver 8 supports some of the more popular--but still not the very latest--PC games, such as Left4Dead. That game in particular is important because it ranks up there with World of Warcraft ( Macworld rated 5 out of 5 mice ) as a popular multiplayer game without a Mac version (yet). Left4Dead actually ran quite smoothly and even worked for a multiplayer co-op match. I also tested Internet Explorer 7. After a few "dry runs" the app finally installed. Sites rich with ActiveX components, such as Live.com, ran quite well. Quicken 2009 never crashed, although parts of the program (such as the start-up screen) have noticeable graphical glitches. Accessing these apps is easy: CrossOver puts icons for Windows apps in a folder, a nice touch, and you can even drag them to the dock for easy access. Finally, after many months of development, testing and bugfixing a new version of q4wine has been released. 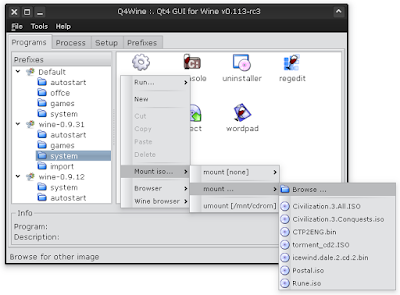 q4wine is a wine configuration and management utility written in QT. Added q4wine-cli console utility for wine applications and prefixes management.